For people who erroneously believe that the end of the space shuttle program means the end of space exploration for the human race, this graphic should provide a little perspective. According to the data compiled here, human missions funded by the U.S. government have represented only a small part of the launches into space. And interestingly, the data creates nice Star Wars battle cruiser-like shapes for US and Russian launches! Of the 7,000 spacecraft that have been launched into orbit or beyond from 1957 to July 2011, more than half were defense satellites used for communication, ­navigation, and imaging. Reportedly, the USSR sent up a huge number of satellites because their satellites didn’t last as long as those launched b the Us. In the 1970s, private companies began increasingly adding to the mix, ­launching satellites for telecommunications and broadcasting. This graphic groups payloads by the nationality of the owner. A satellite, a capsule of cosmonauts, or a deep-space probe would each count as one payload. The data were drawn from hundreds of sources, including space agency documents, academic journals, and interviews. 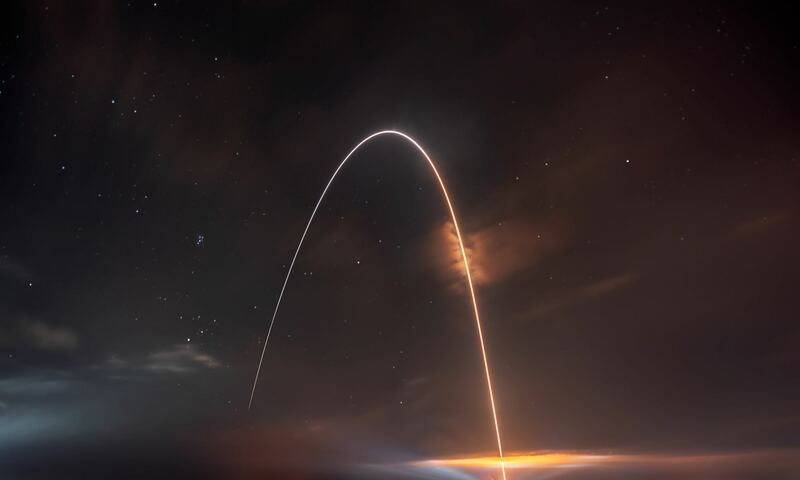 They were compiled by Jonathan ­McDowell, an ­astrophysicist at the Harvard-­Smithsonian Center for Astrophysics and author of Jonathan’s Space Report, a newsletter that tracks launches. This graphic is available through a limited-time free access to premium content of Technology Review, who have opened 14 years of premium online content to celebrate their annual Emtech MIT event. Hurry, the limited access ends on October 19, 2011. You can download a pdf of the graphic here through that date. Not the end of human exploration, but the end of American astronauts. The US tax payers money is now funding the Russian engineers and creates lot so of jobs in Russia. It also funds the patents on Russian technology. And the Russians are very grateful for these American donations. It is far more likely as a Chinese or Russian Astronaut to get into space than as a America. Unless the next government undo Obama’s plan and reinstate the budget for US space exploration because all other countries are bypassing them. “Obama’s plan” ~ 2009 was not an SLS recreating Apollo with Shuttle technology for political pork works, but developing new technology for a future heavy launcher while commercials started to take over LEO launches. He also reinstated much of the budget from the earlier administration shrinkage AFAIK, before the current US crisis. If SLS is too expensive to admit actual manned launches, that doesn’t seem to concern its backers. From the U.S. Office of Management and Budget records, there has been steady growth in NASA’s budget every year of the current and the previous administrations. Additionally, a large chunk of the rising budget is freed up with the retirement of the Space Shuttle fleet. Did you have something specific in mind when you mentioned “reinstate the budget”? In so far as there are issues at NASA, they stem less from funding and more from waste, in particular, the arms-length management of cost-plus contractors. Execution of the JWST program with numerous delays and cost overruns is a prime example. Yet there are plenty of successes at NASA to be positive and excited about. Mr Obama’s plan was to focus on “game changing” technologies before building the new heavy lifter. Alas, special interests have prevailed again and the SLS, if completed, will mostly be a franken-rocket cobbled together with technologies left over from canceled or retired programs. Did you have something specific in mind when you mentioned “undo Obama’s plan”. Next PostNext Why is Tonight’s Full Moon the Smallest of the Year?